If you have a fireplace, you know there’s nothing more comforting and warming than sitting around an open fire on a cold winter night. It creates a welcoming environment for guests and encourages a relaxed atmosphere. However, you probably know that soot is not your friend and are wondering how to get soot out of carpet. 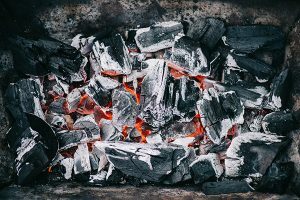 Chances are if you have a fireplace with carpeting or rugs near it, then you’ve encountered the frustration of soot staining your carpet one too many times. If you don’t know the proper technique to removing soot from carpet, you’ll end up losing hair over figuring it out. 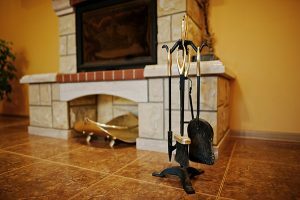 We’ve come up with a guide so you know how to get soot out of carpet and keep your floor looking great so you can enjoy the benefits of your fireplace with no hesitation. Depending on how large and deep the stain is, you may need more or less materials to get it out. We’ll list all of the items you could end up using so you can make sure you’re ready for any soot stain that comes your way. Once you’ve gathered everything, it’s time to get started on removing that eye sore of a soot stain from your carpet. The steps to removing soot from your carpet are fairly simple, but they still must be done with accuracy to ensure you don’t damage your carpet or embed the stain even deeper into it. Depending on the size of the soot stain, you might have excess chunks and pieces of soot on your carpet. In such a case, you can try to remove any pieces with a spoon. It’s important that you’re as gentle as possible while performing this step. You don’t want to smash any soot further into the carpet. If you don’t think that you can remove the pieces, your safest bet is to not even attempt it. What do we mean by prepare your carpet? For this step, you need to sprinkle your baking soda, corn starch or other absorbent powder on the soot stain. Put about as much on as you think will sufficiently cover the stain. Before you move on to the next step, you need to get your patience ready. Let the absorbent powder stand on the stain for around an hour. You want to make sure it absorbs as much as possible to make the next steps more effective. After the hour has passed and the corn starch or baking soda has had a chance to absorb everything it can, you can vacuum it up. In some cases, this might completely remove the stain if it was small to begin with. Most of the time the stain will still be visible so you’ll need to continue the cleaning process. If you think that another round of absorbent powder will do the trick, then repeat the previous steps. For bigger and deeper soot stains, you’ll want to follow the next steps. In this step, you’ll need your dry cleaning solvent, hydrogen peroxide or rubbing alcohol, a couple of towels and warm water. First, apply some solvent or rubbing alcohol to a clean towel and blot the soot stain. Be careful not to spread the stain and make it worse. If you use hydrogen peroxide, use a ratio of 1 tablespoon peroxide and 3 tablespoons of warm water. Important – only use hydrogen peroxide if you have a light colored carpet as there’s a bleaching affect with it. Blot the area until the solvent is absorbed. After letting it sit for a minute or two, use a different clean cloth to remove the solvent from the carpet. Moisten the towel with warm water and blot the stain area. Don’t soak the carpet. Depending on the severity of the soot stain, you might be able to get it completely removed. If the stain persists, repeat this step until it’s gone. When trying to get soot out of carpet, you need patience. It’s almost always a multi-step process that takes a few tries. If your stain is large and deep, you might have to complete steps 1-4 more than once to remove it. If you just can’t get the soot stain out after multiple attempts, your best bet is to call a professional. They’ll know exactly how to get soot out of carpet and have more advanced cleaning tools to get the job done. Once you’ve experienced soot stains on your carpet, you’ll probably never want to deal with them again. 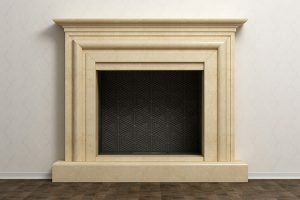 If you really want to know how to get soot out of carpet for good, then we suggest installing a fireplace glass door. They’re stylish and provide your home with added safety and energy efficiency. Pets, children and your carpet will be safe from fire behind a glass door and will be able to radiate heat more effectively. Early Times has many styles to choose from. Or you can choose to convert your fireplace to a gas log fireplace or install a gas log insert. You won’t have to worry about any soot spilling onto your carpet with one of these. 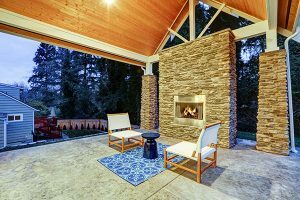 We’ve been Chicagoland’s chimney and fireplace experts for over 30 years and provide homeowners with the best products and services around. Get a free quote now for any of our fireplace services from glass doors to gas inserts.